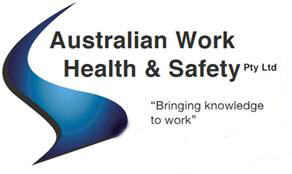 Australian Work Health and Safety / Uncategorized / Hello world! "Since 2003 we have used Carl Albrecht and his company exclusively for all our OH&S requirements, Carl has carried out training for both the business partners, office staff and site staff. Carl has reviewed and amended all our company policies and we are proud of our record for safety which is in the one of the best in our industry. We not only put this down to our employees but to Carl and his reviewing and auditing of our systems and our sites and staff. Our business is very fortunate to have had Carl’s assistance and expertise for the past 11 years as our industry has really had significant changes and the transition has been seamless due to Carl’s efforts and direction in implementing these changes. . When companies complain and appear to fight new safety policies and amendments I never understand their reluctance and question them why they have issues their answers always lead me to advise them to contact Carl as changes we have to make are made easy due to Carl’s input and assistance. I would have no hesitation in referring or recommending Carl to anyone as he has and will continue to be our companies OH&S and training provider."